2 Bedroom Apartment To Rent in Caterham for £1,495 per Calendar Month. 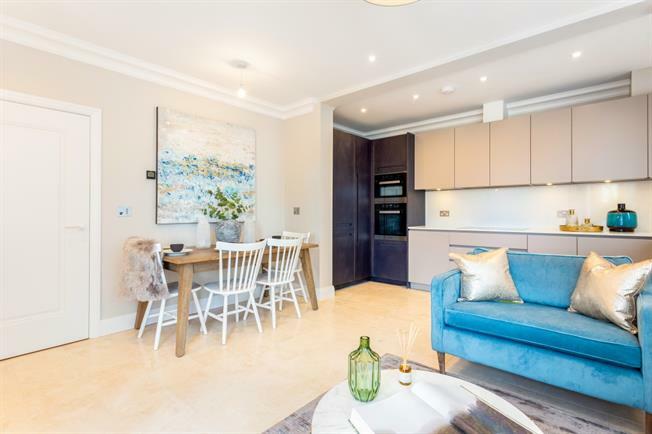 Situated in the heart of Woldingham is this newly built 2 bedroom first floor luxury apartment, with balcony and off street parking. The apartment consists of an open plan living and dining space with oak and walnut flooring and patio doors opening out onto a balcony, which overlooks the communal grounds. Within this space there is a fully fitted open plan kitchen by TM Italia, with Miele appliances and a Siemens washer/dryer and marble flooring. Both bedrooms feature Italian fitted wardrobes and the same oak and walnut flooring that features throughout. The master bedroom has the added benefit of an Italian design en suite bathroom. There is a further shower room that services the second bedroom. The apartment has a Nuheat under floor central heating system throughout, as well as a video security entry system and intruder alarms.